We'll chat their past films, reveal exclusive "Moana" news, and take questions for them to answer! We love taking a closer look at Disney things and sometimes that means we need to chat with the people who create the Disney magic itself. This Thursday night, we’ll be speaking to two people who have been creating Disney magic through the art of animation. 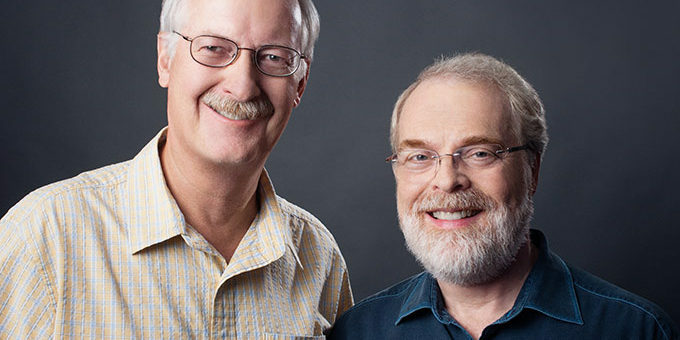 Join us for an exclusive Facebook LIVE Stream event with John Musker and Ron Clements, the legendary Walt Disney Animation Studios directors of Disney classics like “The Little Mermaid”, “Hercules”, “Princess and the Frog”, and most recently “Moana”! Tune in this Thursday, October 13 at 7:30 PM (Pacific) to hear from them and exclusive “Moana” news. We’ll also be taking questions from you for them to answer during the live stream. Looking forward to having you join us for this rare opportunity with this legendary Disney duo.